Because of the tidal wave of news stories discussing the challenges of landing a new job when you are age 50+, I asked Austin resident Margaret Miller to share her strategies for job search success. In 2012, Margaret and her husband moved to Austin from El Paso because his project-based work in El Paso was finished. 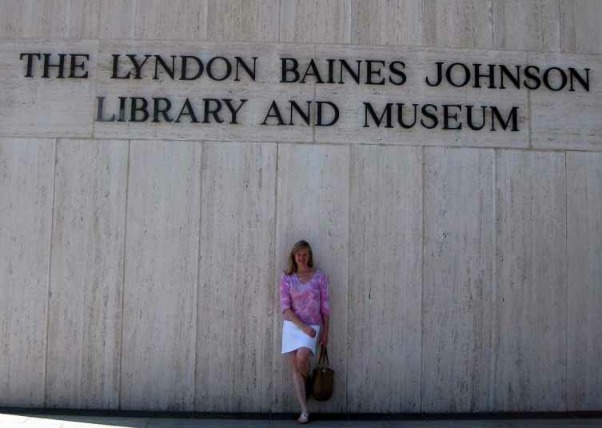 Margaret began searching for a job and three months later, she was hired as a Web Editor for the LBJ Presidential Library. Accept that a job search is a lot of hard work. Margaret spent hours each day researching job openings, writing targeted cover letters, and tailoring her resume for EVERY job she pursued. She sent college and graduate school transcripts every time she was asked to do so. She participated in several telephone interviews and five face-to-face interviews, including the LBJ Library. In her pursuit of the Web Editor position at the LBJ Library, she interviewed four separate times with directors and staff members. Value your years of experience and wide range of skills so that employers will, too. Margaret knew she faced tremendous competition, but she also viewed her depth of experience as a valuable asset. She didn’t know HTML but she was familiar with content management and search engine optimization because of her years of working with clients as a freelance writer. She was confident she could handle the job because she is a quick learner, and she persuasively and confidently conveyed this to her future employer. Once she landed the job, she diversified her skill set by learning coding skills on the job. Demonstrate to employers how your previous skills are transferable to new positions. Margaret’s background was in communications. As a writer, she knew that web editing was just one more way of getting information across. She applied to a variety of positions that were related to her previous accomplishments, choosing jobs where she believed she could do well and not limiting herself to jobs where she matched 100% of the requirements.